‘Delinquent by Reason of Poverty’ is an excellent article on the history of the juvenile justice system in the US and how the philosophy behind it has contributed to deficiencies today. The article points out that the US model has been imported to countries in Europe, Asia, and South America and I can’t help but wonder how similar deficiencies have manifested itself and been addressed, if at all, in other countries. Nevertheless, the discussion on the history of the juvenile court is particularly interesting as a reminder of how long it takes to change cultures and institutions that effectively address the issues. Read some of the excerpts below! The founders of the juvenile court were part of a 19th century humanitarian movement that helped elevate children out of poverty to a dependent class in need of protection by the state. In 1825, reformers established the New York House of Refuge, which provided food, shelter, and education to homeless and impoverished youth, many of whom were children of recent immigrants. They made few distinctions between children who were paupers and those who committed minor crimes. Instead, their objective was to identify those who were still ―innocent and to impose appropriate ―atonement and punishment. Reformers believed they had a legal and social responsibility to carry forward the doctrine of parens patriae, in which the state serves as a surrogate parent to the child when the family fails to meet its obligations. By the early 1890s, the reform school movement initiated changes, including an age-based distinction between juvenile and adult offenders and a broadened legal authority that encompassed children convicted of crimes as well as those adjudicated neglected and incorrigible. The first juvenile court was established in 1899 in Chicago by three women who were respectively a philanthropist, a child-welfare expert, and the founder of an institution to help the poor. The movement these women spearheaded led to the world‘s first juvenile court act. The law represented the merging of concerns about poverty and child welfare with those regarding crime control and high recidivism rates. Children who violated the law were not to be regarded as criminals but as wards of the state who should receive nearly the same ―care, custody, and discipline‖ as that given to neglected and dependent children. In 1966, a Harvard Law Review article brought attention to the fact that the role of law enforcement agencies in the juvenile court system had expanded far beyond their discretionary arrest powers. It found that judges in effect discouraged juveniles from retaining counsel, such that attorneys appeared on behalf of juveniles in only five percent of cases; and that some judges reflexively imposed punitive incarceration at disposition. Following this article, the Supreme Court in 1967 held that juveniles have basic Constitutional rights, including the right to counsel, the privilege against self-incrimination, and the right to cross-examine witnesses. The decision represented a recognition by the Court that juveniles were being summarily adjudicated delinquent and sentenced to long terms of incarceration without the benefit of either due process protections on the front end or effective rehabilitative services on the back end. Years later, state assessments of access to counsel and quality of representation in delinquency proceedings, revealed that many juvenile court judges persist in focusing on the needs of the youth without first objectively determining whether a criminal offense has even been committed. For example, many judges have personal biases in favor of a surrogate parent approach to young offenders, making it difficult for them to maintain objectivity as neutral fact-finders during adjudication. There is also a sense of futility among defense attorneys about preparing juvenile cases for adjudication because courts are less interested in inquiring into the guilt or innocence of a child, and more intent on dispensing treatment or punishment. 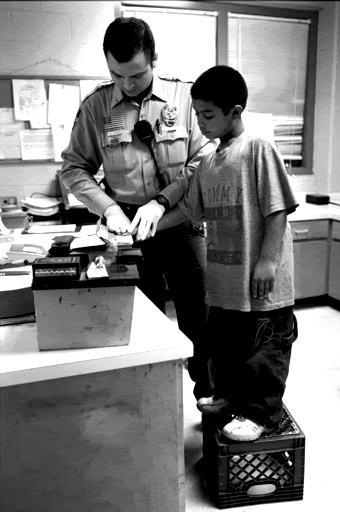 In some jurisdictions, because judges and others view juvenile court first and foremost as an opportunity to help a child, they may undermine attorneys‘ efforts to challenge the government‘s evidence and provide zealous, client-centered representation, considering such advocacy an impediment to the smooth function of the court. Adolescents, who are exposed to traumatic events, including those who are victims of abuse, neglect, or other maltreatment, cross over from the child welfare to the juvenile delinquency system at high percentages. Similarly, young people who enter the juvenile justice system as ―status offenders, as a result of having been adjudicated as runaways, truants, or ―incorrigible, also crossover into delinquency court at high rates. To be labeled as incorrigible, behaviors can range from a child physically abusing a parent to consistently violating a curfew to repeated verbal fighting among family members. Despite the fact that crossover youth frequently move back and forth between child welfare and delinquency court, there has been little ―integration and coordination between the two systems. Data shows that many crossover children are racial and ethnic minorities, female, and have mental health and substance abuse problems that are left untreated by both systems. Once adolescents age out of the child welfare system or are discharged by juvenile delinquency court, agencies and insurers typically discontinue their access to services. All of these factors place crossover youth at greater risk of reoffending. The vast majority of low-income children attend public schools which criminalize the same behavior that is addressed internally at private schools. Since the mid-1990s, ―zero-tolerance‖ has been invoked to justify the punishment of public school students for everything from profanity, to running in the hall, to doodling on a desk. Acts that may have resulted in an adolescent being sent to the principal‘s office now end up in juvenile court charged as disorderly conduct or vandalism. In numerous jurisdictions, criminal citations and fines can places a particular burden on poor families. Merchants traditionally have enormous discretion and bias when handling cases of suspected shoplifting or larceny. Many businesses have adopted theft policies that explicitly favor those of means over low-income individuals. Shoplifters are led to believe that if they ―settle‖ the store‘s civil claim for the costs of recovering the stolen merchandise, the store will not report the incident to the police, but these costs can be as much as $200. As a result of stereotypes linked to race and class, police officers place lesser value on residents of impoverished areas. In contrast, police attitudes toward those who live in wealthier areas tend to be lax and forgiving. As a result, criminal charges are brought more frequently against children in low-income communities than in more affluent ones. There is also little effort made institutionally to prepare the police for interactions with teens or young suspects. They are ill-equipped to determine whether young offenders should be brought to the police station upon arrest or to the emergency room for treatment of mental illness or drug addiction. They are not trained to view conflict between adolescents as an opportunity to model such strategies as mediation and peaceful discussion, and they are given few tools for avoiding the classic pattern of confrontation, escalation, and arrest when encountering youth on the street or in their homes. Because of the traditional philosophy of juvenile court, the potential for class status to impact decision-making within the system has always been great. The first juvenile codes provided court officials with enormous discretionary authority. Judgments had to be made quickly, often based on very limited information, and court actors generally lacked ―substantive criteria‖ to guide them in determining what factors should be considered and what weight they should be given. These characteristics of the original delinquency system continue to be reflected in the laws and policies today. The legislation that governs juvenile court practice in each state commonly contains provisions that explicitly call for consideration of the child‘s needs and the family‘s socioeconomic status. Court policies give decision-makers wide discretion to consider these factors at critical stages in the case. As a result, typical features of juvenile court laws and practices combine to shift the system‘s emphasis from an evaluation of a child‘s culpability to an assessment of the family‘s class status. Low income families can only gain access to drug or alcohol treatment and mental health counsel through a court order following juvenile delinquency adjudication, unlike middle-and upper-class families who can acquire private services for their children. Thus the family‘s ability to obtain services is a critical factor in the determination of whether a child will face formal delinquency charges. While the Supreme Court established that children have a right to counsel in juvenile court, very few states require the mandatory appointment of counsel. Many states require numerous fees to pay for indigent legal representation, which indirectly encourages those less able to waive counsel. In 1971, the Supreme Court held that juveniles do not possess a federal constitutional right to trial by jury. Now, most state juvenile codes allow only for bench trials for juveniles who do not admit guilt. Approximately ten states have enacted statutes allowing jury trials in juvenile cases, while another ten provide for them under limited special circumstances. Legal scholars have found that judges are more likely than jurors to weigh evidence in favor of the prosecution and less likely to assess the credibility of the accused with an open mind, particularly in juvenile court. 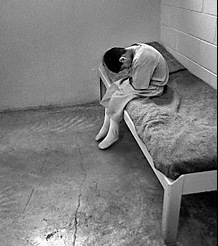 Defense counsels are also often unfamiliar with the resources and programs available to their clients and lack the assessment expertise (or the funds to hire a psychologist, psychiatrist, or social worker) to offer a persuasive counterweight to the recommendations of the probation officer, placing the juvenile at a distinct disadvantage. Studies have indicated that socioeconomic status also impacts decision-making, demonstrating—for instance—that poor children are more likely to receive severe dispositions than children of means. This is because judges rely on common stereotypes associated with offender characteristics, such as race and class, as well as legal factors, such as the seriousness of the offense and the juvenile‘s criminal history. Thus, actors within the system make assessments about juveniles‘ culpability, dangerousness, and treatment needs based on contextual and extralegal factors, including socioeconomic status, employment status, and education level of the child‘s parents or guardians. Probation officers in juvenile court often wield tremendous power and often seek some form of incarceration for those with ―serious emotional, addiction, or behavioral problems, as they believe that these juveniles are unlikely to receive necessary community-based services or comply with treatment while on probation. Public defender offices are also equally susceptible to the view that having a child adjudicated delinquent is the best way for a poor family to access needed services. As a result, defense attorneys may advise indigent youth to admit guilt and to waive their right to a trial, regardless of the weight of the state‘s evidence. Researchers found that exposure to delinquency court negatively affects youth, particularly when detention or incarceration is imposed. Further, detention has been found to exacerbate the conditions of those with pre-existing behavioral or mental health problems, which includes a significant subgroup of youth who appear in juvenile court. Longitudinal studies demonstrate that arresting children and placing them in the juvenile justice system increases the likelihood of their continued involvement in the courts both as youth and as adults. One of the original catalysts for the founding of a separate children‘s court in the 1890s was the notion that children should not be stigmatized for impulsive choices made when they were young. As a result, many juvenile court hearings and records were kept confidential, procedures were informal, and hearings were routinely held in the private chambers of the judge without witnesses, lawyers, or a written record. By the 1970s, perspectives changed and advocates called for more openness in delinquency court, believing that public exposure would bring oversight and accountability. Through the 1980s and 1990s, local and state authorities opened up juvenile court proceedings and this trend continues today. Studies have shown that once the label of ―juvenile delinquent‖ is formally imposed, it is readily accepted by both the child and the community, and the child is defined and perceived by others through the lens of this label. Children can be stigmatized by even the most minimal contact with the juvenile court system. Few juvenile court systems collect data on the income levels of children and their families as they are processed through the system. States could gather income data at critical processing points in the system, such as arrest, intake, appointment of counsel, and adjudication. An advisory body could then determine where income disparities exist, identify instances of unnecessary juvenile justice system involvement, and monitor implementation of reforms to address the issue. Awareness of the problem is another critical aspect of reducing individual and institutional biases. Various national initiatives exist to raise awareness of disproportionate minority contact (DMC) among judges, prosecutors, and agency personnel as well as community leaders, educators, and parents, with admittedly mixed success. The MacArthur Foundation‘s Models for Change initiative is one of the best organized initiatives and aims to achieve racial fairness in the juvenile justice system by emphasizing local reforms that can be expanded statewide, such as increasing the language abilities and cultural diversity of agency personnel who serve juveniles and their families. Another is the Juvenile Detention Alternatives Initiative, launched by the Annie E. Casey Foundation, which works to reduce DMC by focusing on pretrial detention, a ―critical processing point‖ within the delinquency system. Similarly, the W. Haywood Burns Institute targets local sites to ensure that neighborhood representatives directly supervise DMC reduction within their own communities. A further strategy for confronting and reversing needs-based delinquency is for law enforcement agencies and schools to take steps to avoid indiscriminately directing low-income minor offenders into the juvenile justice system. Diversion programs can be extraordinarily effective. For instance, such programs have been shown to develop accountability among young offenders, keep less serious offenders from moving deeper into the system, and reduce the workload and costs of police departments and courts. Similarly, a variety of diversion programs—including teen courts, mediation, victim restitution, and restorative justice—have been created for first-time offenders, and could be replicated across the United States to help keep low-income youth out of delinquency court. In the US, youth must carry the burden of a delinquency record to get basic mental health services, and that burden increases the likelihood of their future delinquency, criminal behavior, and arrest as adults. Thomas Grisso suggests that rather than place greater emphasis on providing mental health treatment for this population within the juvenile court system, a network of services could be created that cuts across public child welfare agency boundaries. Through the establishment of ―community systems of care, services could be coordinated among mental health, child protection, education, and juvenile justice agencies. Consequently, mentally ill low-income youth would no longer need to be adjudicated delinquent and institutionalized in order to receive appropriate treatment. Instead, they would be treated while living at home with their families, a strategy shown to be more effective than treatment programs outside the community. Scotland, Italy, and Scandinavia have demonstrated that combining preventative programs with therapeutic services offers the most effective model for keeping all but the most serious young offenders out of the juvenile justice systems. Successful approaches utilize home, school, and community-based therapies to reduce risk factors, such as family dysfunction, delinquent peer groups, truancy, and alcohol and drug abuse, while strengthening protective factors, including parenting skills, mentors and role models, and positive extra-curricular activities. Scotland, for instance, utilizes an informal process called ―Children‘s Hearing Systems that are managed by ―panels of trained volunteers from the local community. Operating like a welfare tribunal, each panel is composed of three lay leaders (aged eighteen to sixty) and a professional ―reporter with a social work or legal background. The parent or child, who is between ages eight and eighteen, can bring a representative to the hearing, such as a friend, family member, or legal adviser. Panels may order supervision in the community as well as out-of-home placement in schools, residential care, or secure facilities. As a result, a much lower number of children are incarcerated in Scotland. This entry was posted on June 9, 2013 by Christina in Reports, Youth and tagged Juvenile Court, Poverty.